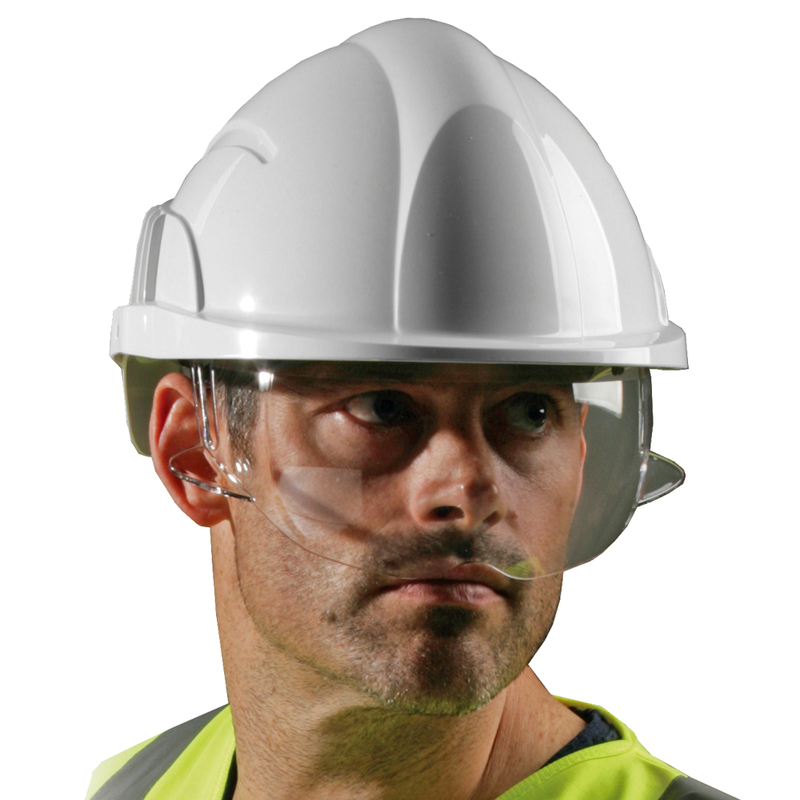 The Vision Plus hard hat from Centurion represents the next step in head protection. Its integrated, retractable visor provides ANSI approved eye protection with side shielding that won’t interfere with prescription glasses. Add optional Ear Defenders for total protection. With the Vision Plus, you’ll never have to worry about losing your safety glasses again. The Vision Plus features a robust molded visor that provides excellent clarity and strength, meeting the ANSI Z87+ standard for high-impact protection. 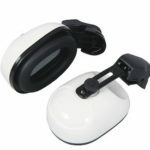 The visors utilize a unique, patented retractor mechanism, allowing for full retraction inside the shell, without scratching the lens surface. Anti-fog and anti-scratch coatings provide a clear view. A lightweight ABS shell features extended neck protection, shorter brims for greater upward visibility, and of course, comfortable fits. Designed for optimal comfort, the Vision Plus comes standard with our six-point suspension and Dry-Tech sweatband. include Ear Defender Hearing Protection, 2-point chinstrap, and High-Intensity Reflective Stickers. High-quality printing of company logos is available.